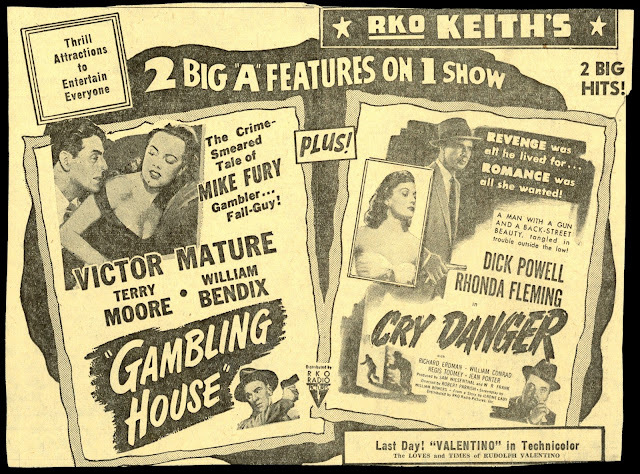 You think going in it's noir, what with grey suit Victor Mature with Bill Bendix in murderous pursuit, but no, Gambling House is Vic in pursuit of US citizenship, which he gets with fresh-face support of Terry Moore. Was this another of Howard Hughes' kooky ideas? Someone needs to do a Rorschach test on Hughes using RKO pics he meddled in, as this one crawls with tips to his eccentricity, if not obsessions. Mature is a born-bad sort who learns to love his adoptive country once feds threaten to expel him from it. Vic's performing works wonders for its utter relaxation, the actor having self-deprecated much of what he did, even though lots said Mature worked harder than met the eye. Gambling House isn't invited to noir parties thanks to cheery resolution of most issues (save Bendix's); you'd not be amiss pairing it with Robert Mitchum's Yule one-off Holiday Affair. Darkness we expect from Gambling House becomes instead a plea for civic responsibility ... so how uncool is that? Vic often said he was not a good actor and could show you seventy movies to prove it. He caricatured himself wonderfully in The Monkees's HEAD (1968). 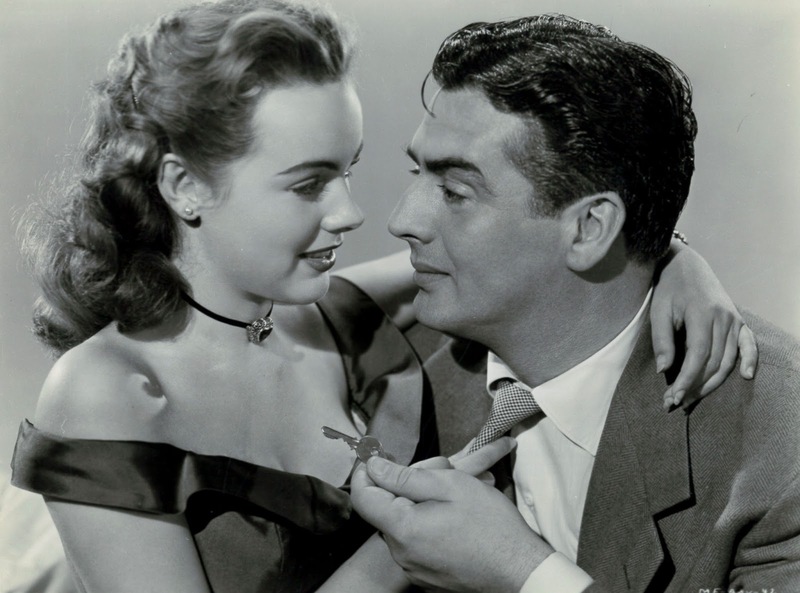 Just watched "The Long Haul" with Victor Mature that you recommended a few months ago. Pretty exciting movie in that I didn't know where it was going and he did a nice job in it. He wasn't much of an actor but neither were a lot of screen stars at the time (and today). But I always liked him in MY DARLING CLEMENTINE and KISS OF DEATH. Mike, in the version Stinky had heard, Vic was denied membership to a country club because he was an actor, to which he replied, "But I'm not an actor. And I've got seventy movies to prove it!"